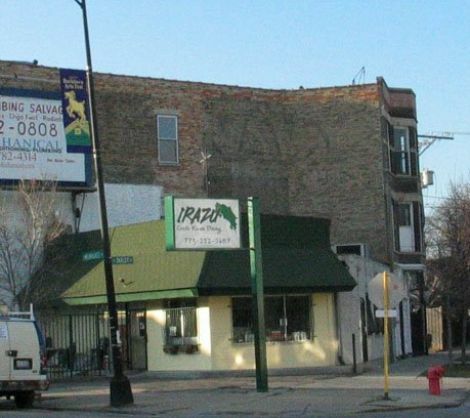 irazu – best costa rican food in chicago! costa rican food is influenced by a few things: african and spanish cultures, tropical starches, exotic fruits, and spices such as coriander, garlic and saffron. pull all these elements together and a lovely, mild-tasting cuisine results, one that should be experienced over and over again. that’s exactly what i do at irazu, just on the edge of bucktown. i love it! i’ve never had a bad meal here. it looks like a dump from the outside, but is only semi-dumpy inside. ok, it’s really not that bad inside. i’m sure the methodone clinic across the street is worse. just kidding. i think that’s been torn down to make way for $800K condos. i used to live right over there and had a tin can telephone hooked up to the el platform so i could converse with the gen pop on my evita-style condo balcony. i enjoyed viewing the scissor fights in the alley from up there as well. ah, youth. seriously, the neighborhood is not as colorful as it once was, and the point is the food, right? so don’t worry about it. since the place is so small, you might end up smelling like one of their delicious sandwedges. only because of that do I recommend taking it out. they do have some outdoor seating and a dining room behind the front counter that others enjoy. place your order with the friendly people at the counter. the menu has so many terrific items i don’t know where to begin. they like their protein. beans and white rice is a national staple, and is terrific here. get the guacamole, spicy, and be delighted that they leave the pit in the dish with it. how marvelously rustic! 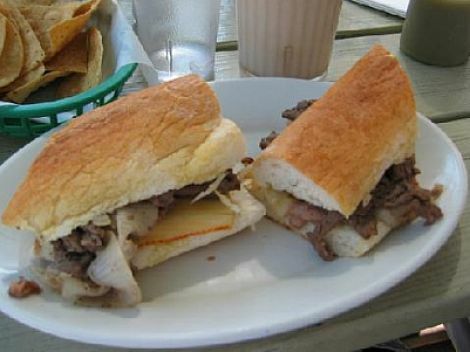 order the pepito sammidge, or the veggie burrito, or the milanesa dinner, and a mango, papaya or passion fruit shake with water. yum yum good! if you like rice pudding, get the oatmeal shake, made with milk. sublime. i want to take a bath in that stuff. take it home, eat it and then take a nap. in that order. best. guacamole. ever. that’s all i’ll say. that sandwhich look good can i have one lol…..?